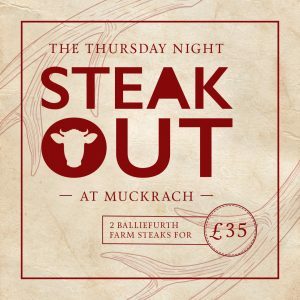 Muckrach Country House Hotel would like to introduce the new ‘Steak Out’ evening every Thursday. Using locally sourced Balliefurth Farm beef we are proud to use fresh and local ingredients. 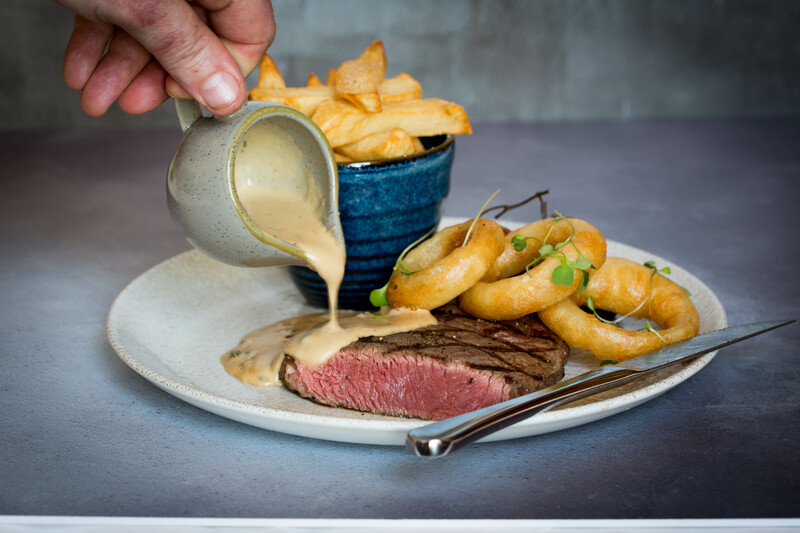 Come and dine with us and get two Balliefurth Farm steaks served with hand cut chips, steak garnish and steak sauce for £35. Wine and dine with us, as the evenings get lighter and warmer. Balliefurth Farm is located in the spectacular Cairngorms National Park, in the Highlands of Scotland. The 400 acre Highland farm, located between Grantown-on-Spey and Nethy Bridge runs alongside the beautiful Spey River and Speyside Way. The farm delivers fresh produce to Muckrach Country House Hotel weekly.